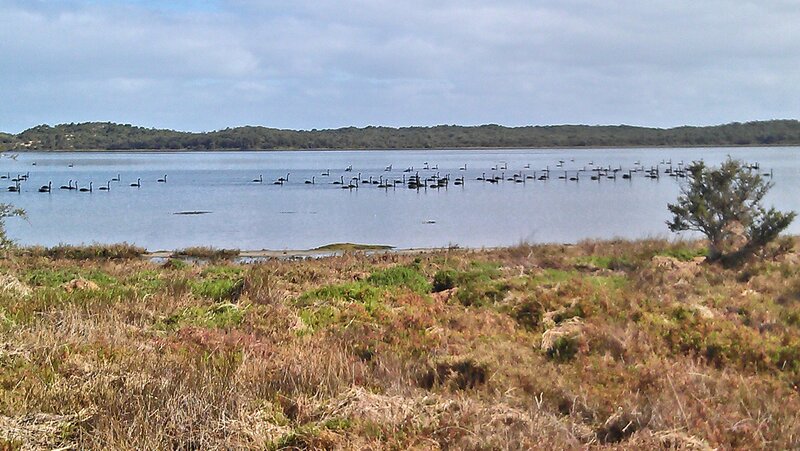 There are always black swans on our estuary, but at certain times of the year there are THOUSANDS of them. When I drove into town today, there was a big mass of them in a few places (the estuary is about 10 miles long). Maybe it’s their mating season?